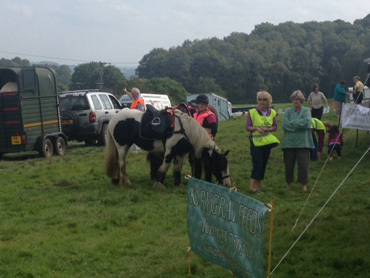 Every September Church Wilne rotary club run a charity horse ride event across some stunning Derbyshire landscape. 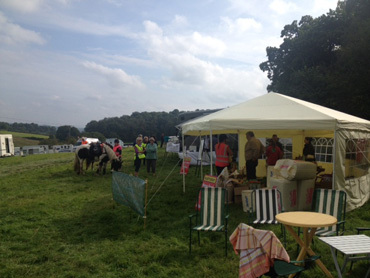 At the very successful event Inner Wheel run a food and drinks tent. 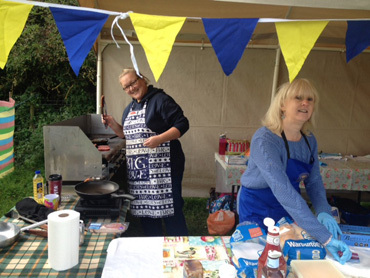 Local supermarkets and suppliers very kindly donate the food which we can then cook and sell at a good cost to customers which generates fantastic funds for our chosen charity. This year was no exception! 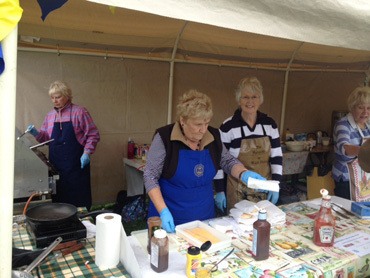 A number of the club were in attendance on the day to cook and serve food to horse riders, spectators and club members. 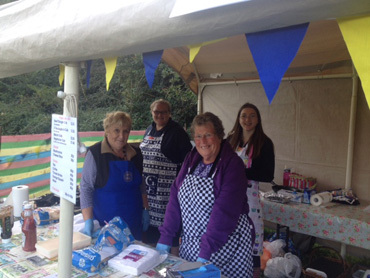 it was a great day which was enjoyed by all and raised over £550. 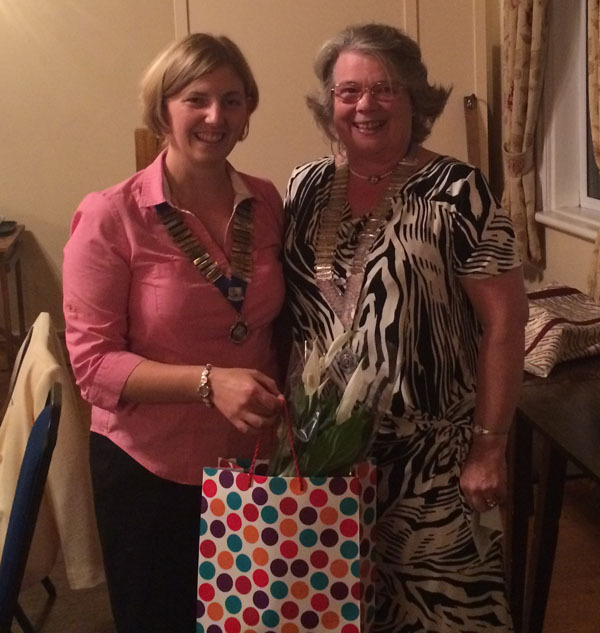 At our September meeting we had the pleasure of hosting District Chair woman Rachel Cooper. 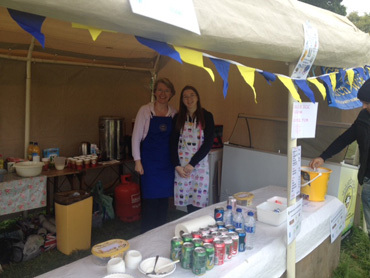 Rachel spoke to us about her background and about her charity of the year, The Derbyshire and Nottinghamshire air ambulance, and to help her out with her fundraising president Angela gave Rachel a cheque for £50. 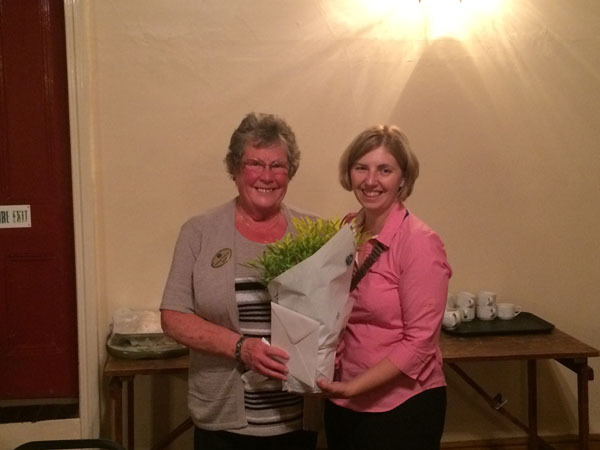 Club member Margaret Stevenson celebrated her golden wedding anniversary in September and president Angela presented her with a beautiful plant to commemorate this. Congratulations Margaret and Michael. 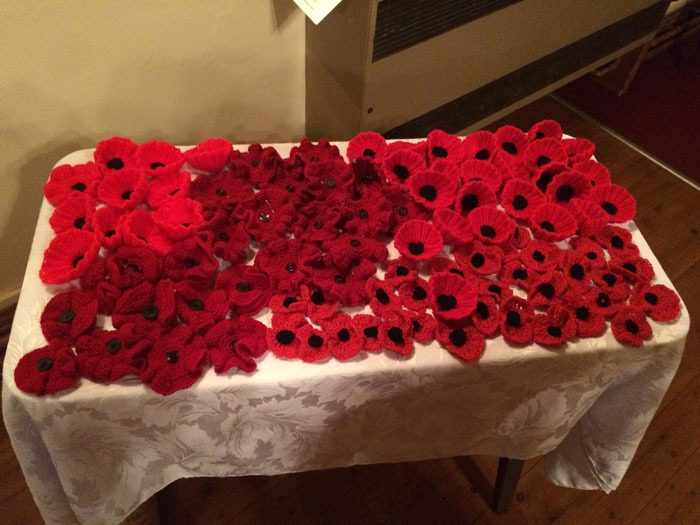 Also at the September meeting, ladies of the club bought along knitted poppies for the Big Poppy Knit of 2014. This is a Nottinghamshire wide appeal for knitted poppies, the aim is to collect 11,000 poppies to mark the 11,000 men who lost their lives in the Great War. 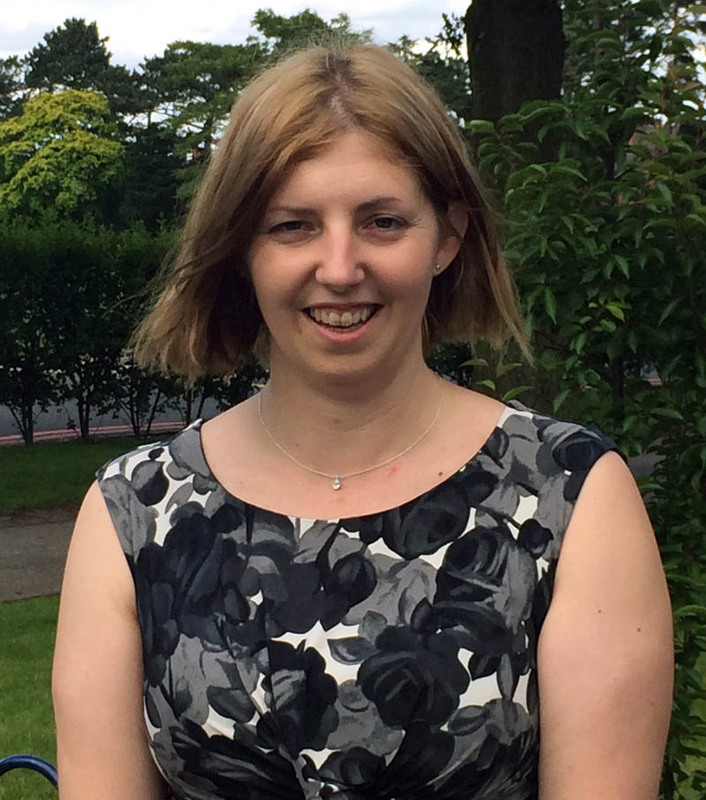 Our 2014/15 president is Angela Beal. 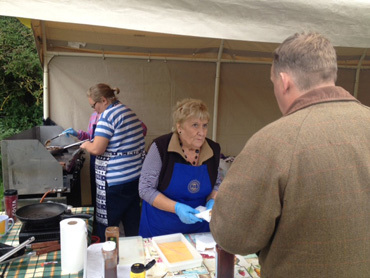 Angela is a nurse working in Nottingham, she is married to Rotarian Simon Beal and has a daughter Jane. Angela's chosen charity for the year is Help for Hero's and she has many exciting events planned to raise money for this very deserving charity. 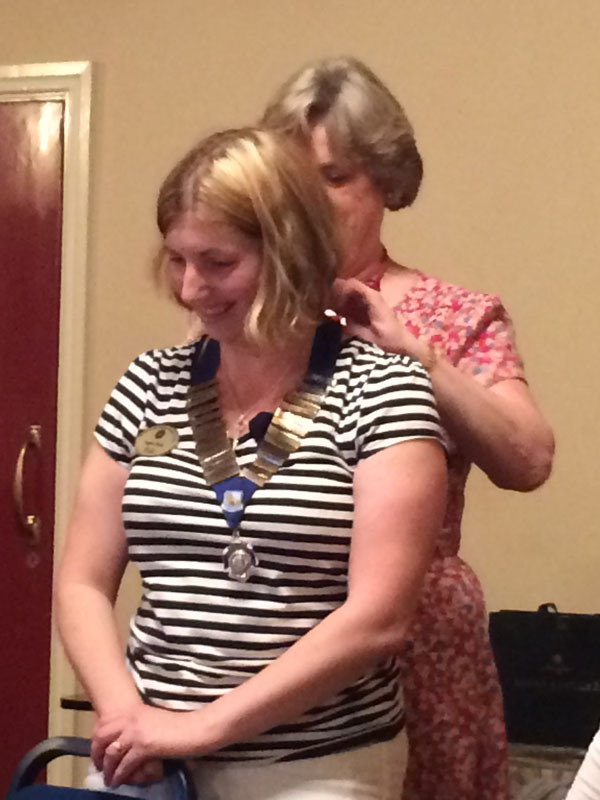 Our June meeting was our AGM and this is also when our new president takes over for her year. 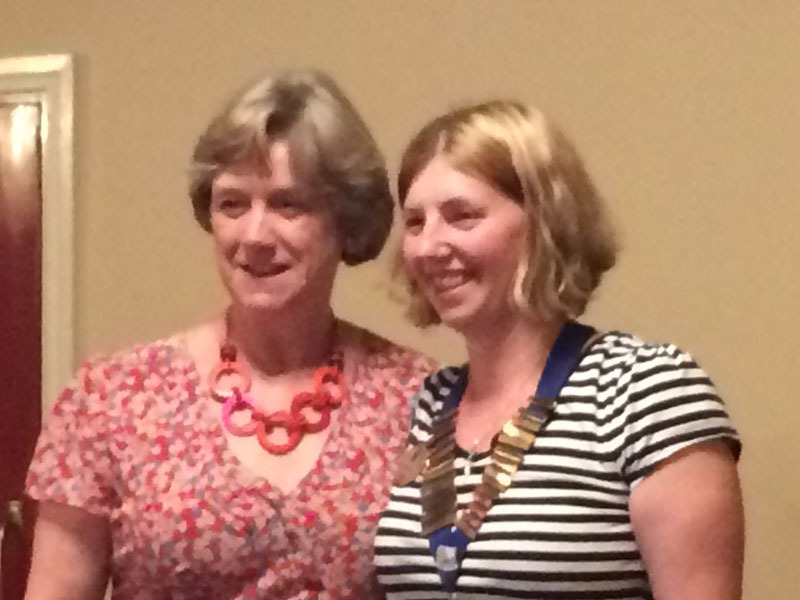 The picture shows Ann , our 2013/14 president, handing over the chain of office to Angela, our 2014/15 president. 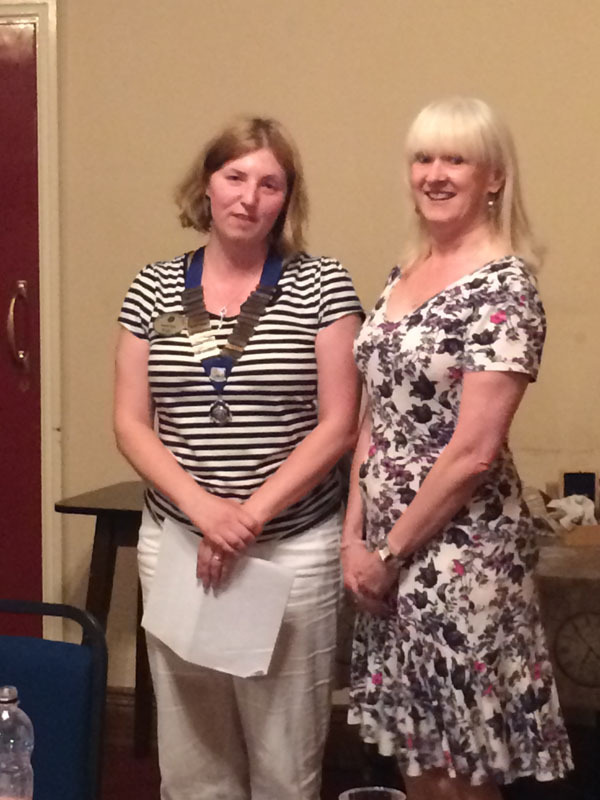 Angela's first task as our new president was to induct our newest member Julie Huggett.